US special prosecutor for the "Russian case" Robert Mueller prepared Donald Trump for several unpleasant surprises. The head of the White House can be charged on the basis of real facts. An investigation into the alleged connection of US President Donald Trump and his staff with Russia is gaining momentum. In recent months, this topic has been almost completely silent, not counting the move that Trump himself made, sending out the resignation of Prosecutor General Jeff Sessions. As is expected, now, after the mid-term elections to the Congress, Mueller himself should come on the scene and share the results of his work. Political analysts are already predicting new problems for Trump because the investigation is clearly not over, there are still a lot of white spots in it, according to the special prosecutor himself. Another Mueller vs Trump attack may be decisive. During the period of silence during the election to Congress, the special prosecutor was able to study a large amount of material and figured out how and from whom he would extract confessions. If the accusation against Trump is still made, then it seriously smells of impeachment. As noted by the British Independent, the new charges against Trump will be made simply as a logical continuation of the investigation, which is already gigantic in scope. Indeed, Mueller reinsured himself and fell silent during the congressional elections, in order to avoid then being accused of possible influence on their results. Now the elections are over, and although Trump did not go as well as he planned, the rating of the head of the White House strengthens against the background of economic effects, for example, the fall in oil prices that Trump promised to achieve and kept his word. According to Mueller, the very moment is approaching when hitting Trump may be the most effective. The ring around the US president is narrowing, as Mueller has already managed to break the resistance of Trump's four assistants, two of whom confessed. In fairness, they confessed not to “ties with Russia,” but only that they did not speak to the investigation of things that, in their opinion, were not directly related to the matter. However, the ring is narrowing, and now under the gun is the former head of the campaign headquarters Paul Manafort and his assistant Rick Gates. This means that Mueller is coming closer. Both politicians were indirectly tied to the “Russian case,” but the special prosecutor hopes to obtain new testimony with their help. Gates made a deal with the investigation when he was charged with violations in lobbying for US interests in Ukraine. Manafort was found guilty on 8 of the 18 counts. Manafort and Gates agreed to cooperate with the investigation and act against Trump since the alternative for them is more severe - serious terms in a US prison. In order to seriously bite the President of the United States, the prosecutor needs strong evidence, loud trials, loud testimony from witnesses. Trump feels what the Mueller case is leading to, and he has already taken countermeasures - he gave the Special Prosecutor’s team in writing the answers to the questions about the investigation. This can not be called the interrogation of Trump, but the fact is a fact - there were questions, there were answers to them. At the same time, Trump's attorney on the “Russian case” is waiting for new questions from Mueller and assured that the Special Prosecutor will receive exhaustive answers, but not in the form of interrogation. The Trump team will also respond only if it deems it necessary and useful. Among other things, Mueller reduced the field of activity. The lawyers of the US president have already announced that they will not satisfy the curiosity of investigators regarding the period when Trump had already become head of state. Answers can be received only on the pre-election period. It also means that they are trying to isolate Mueller from the secret of the resignation of the FBI head James Comey, whom Trump had previously removed from office. At this point, Mueller’s investigation would have come to a dead end if Jerome Corsi had not appeared. Corsi is known as an assistant to Roger Stone - the confidant of the White House's master. It is noteworthy that during the election campaign of 2016, Stone inadvertently boasted about his “communication channels” with the founder of the scandalous disclosure site Wikileaks. Mueller suspects that it was Stone who was behind the publication of thousands of emails from members of the Democratic Party almost immediately before the presidential election. Recall that these letters then exposed the conspiracy within the party. The result was the consolidation of Democrats around Hillary Clinton to the detriment of another democratic candidate, Bernie Sanders. And this situation was then very successfully played by the Trump team. Now it turns out that Stone’s assistant, Jerome Corsi, is ready to plead guilty and is already negotiating with Mueller’s team on this issue. Obviously, the Mueller is betting on a conversation with Stone's assistant and, finally, Stone himself, who can open new ways to investigate. 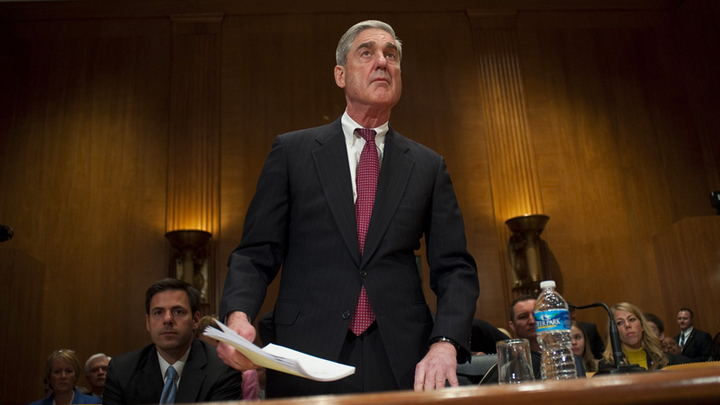 It is assumed that having unraveled the story of a pre-election leak of the Democrats, having interrogated the representatives of Trump's headquarters, Mueller will be able to reach the very mythical “Russian trace”. Thus, in the near future we are waiting for the continuation of this struggle. Trump himself, we recall, argues that he had no connection with Russia and could not have it, and the persecution launched by the special prosecutor is simply a “witch hunt”. The White House master continues to fight Meuller. Taking advantage of the lull during the congressional elections, the President of the United States removed the position of Prosecutor General Jeff Sessions, who had already recused himself in the “Russian case,” passing the reins of the investigation to Meuller. Trump felt that Sessions had already brought suspicion on himself and could now be harmful. In place of Attorney General Trump put a profitable figure for himself - Matthew Whitaker. Whitaker took up the cause zealously and managed to declare that Meuller was conducting an overly bloated investigation instead of focusing on the main thing. The new US Attorney General also proposed to cut funding for the Meuller team in order to limit the scope of its work. The Independent believes that the point of no return has already been passed in the investigation of Mueller, and the special prosecutor cannot retire without any achievements. The newspaper calls not to be surprised if in the near future there will be new evidence against Trump, or even a whole report exposing his team’s connections with Wikileaks or even pointing to the so-called and non-existent “Russian trace”. In conclusion, we will add that according to repeated statements by Russia at all levels over the past two years, Moscow has not and could not have any influence on the election of the US president. The best confirmation of the truth of these statements is the complete absence of evidence that cannot be found for two years now and will never be found, because they are not there. On the other hand, it is obvious that the opponents of Donald Trump are not asleep and will not leave him alone. In the US, there is an internal political struggle, in which some forces opposing Trump want to mix Russia as the most weighty argument to overthrow the president. And everything that happens around the investigation of Special Prosecutor Robert Mueller is the best proof of this.